Business owners, are you ready to get your business online? We've got what it takes, whether you just want to describe your service, generate leads, or run an online store. We can recommend the best strategy, then design and code a winning website to market your brand or convert visitors into sales. 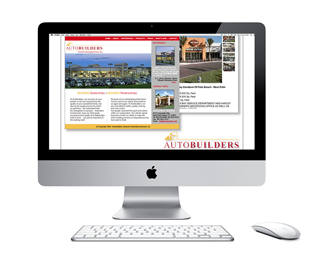 We've worked with companies large and small to deliver effective results online. We have experience working with giants like Motorola and FPL, and with neighborhood realtors and small, home-based cosmetics and jewelry companies. Whatever your company does, you can consult with us for free to see if we can be part of your online strategy. Entrepreneurs, we are a great choice for new startup ventures too! We're got serious technical skills, awesome graphic designers in-house, and some serious social media know-how. And even more important we're longtime entrepreneurs who've been hanging around other startup companies for years. Finally if you run a charitable organization we'll consider building your online presence too. We've built and maintained active websites and run social media campaigns for religious organizations and not-for-profit charities before. If we accept your project, we'll do what's needed to be a first class web presence, for little or no money.